Our product details cover fabric specifications, order minimums and custom batch availability as well as suitable garment applications and complementing fabrics. Important information has been provided to take into consideration when deciding on this product. The collection of features and benefits can serve as a useful source of promotional ideas when assisting your customers finding a fabric that meets their needs. Highlighting the core characteristics of the product will help your customers to choose the right fabric for their specific application. 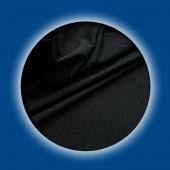 The Eclipse Swingtag range is a simplified and modern approach designed to match the current brand standards of the developing textile and garment world. There are six tags available that will cover key features and benefits over a number of our product ranges. Please see below for the recommended tags relevant to this product. A great add on feature for your finished garment. 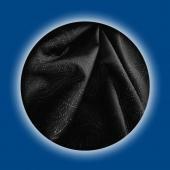 Relaxation of up to 5% is to be expected on all Elastane-based fabrics and is not claimable on Eclipse Textiles. 5% relaxation allowance should be calculated into stock requirement figures. Sublimation bases can react differently from machine to machine. Please ensure you test each fabric as a variation may occur due to machine settings and paper variation. Sample cards are available upon request. Subli-Cool 3D surface technology gives you a completely different dimension by taking our Subli-Cool 2.0 base to the next level. This unique 3D surface effect creates a sporty yet fashionable finish to make your garment truly unique. Whilst still providing the superior performance properties of the Subli-Cool 2.0 yarn technology, you can not only feel confident but also look fantastic. Combine with our Subli-cool 2.0 Black as a feature, or use as a statement piece on its own. Our 3D surface technology designs will only be available for a limited time only. Once these designs are sold out, they will be replaced with a new and exciting design picked from our extensive library of fashionable and active inspired patterns, allowing us to bring an impressive variety into our range and giving you the opportunity to create something truly unique each time. You can also select your own 3D custom design from our library for your very own custom batch. Once your order is confirmed, your selected design will become unavailable to our customer base for a 12 month period. // Cold hand wash or gentle machine wash with mild detergent. // Do not spin dry. // Do not dry clean. // Do not tumble dry. // Line dry out of direct sunlight. // Avoid any rough surfaces such as pool edges, dancefloors or rough ground in general. // Do not pack or store when wet. // Remove any excess water and dry without delay. // Separate light colours from dark before washing. // Avoid excess contact with suntan lotions and harsh chemicals sometimes found in saunas, spas and pools. // Avoid excess contact with harsh chemicals such as deodorants, make-up or perfume. // White and pastel colours, and light weight garments may appear transparent when wet. // Although the best possible dyes are selected worldwide, the fastness of some shades must be treated with caution. Particular care should be taken with contrasting colours in the one garment. There are currently no swing tags available for this product. If you would like to suggest that we offer one as part of our service you are welcome to contact us to discuss further. We are more than happy to consider your request.